Alabama’s Nick Saban will speak at Grambling State in honor of Eddie Robinson’s 100th birth anniversary. GRAMBLING, La. | The Grambling State University Department of Athletics, in conjunction with the Eddie G. Robinson Museum, announced a very special event in the continuing celebration of what would have been legendary Grambling State University head football coach Eddie Robinson’s 100th birthday this year. 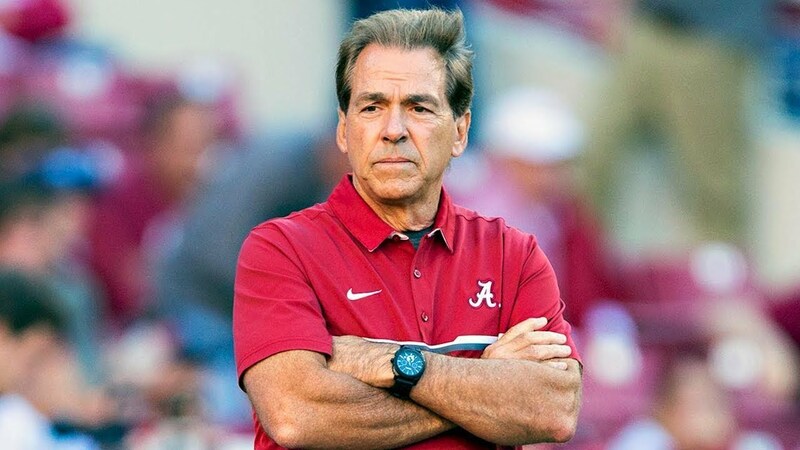 “A Town Hall with Coach Nick Saban” has been scheduled for Tuesday, May 7, 2019 at the Eddie G. Robinson Museum. Saban is a two-time Eddie Robinson Coach of the Year recipient (2003 and 2008) and guided the Crimson Tide to its sixth SEC Championship and a berth in the National Championship game. The event is sponsored by Hunt, Guillot, and Associates and Hunt Forest Products, LLC. Doors will open at 11 a.m. and the program will begin at 12 p.m. The format of the hour-long town hall with Saban will be a moderated Q&A session with prepared questions and there will be a few questions taken from the attendees. Saban, who earned the Eddie Robinson Coach of the Year Award at LSU and Alabama, became the first coach in college football history to win a national championship with two different Football Bowl Subdivision (FBS) schools since the inception of the AP Poll in 1936. Saban and Paul “Bear” Bryant are the only coaches to win an SEC Championship at two different schools. In 2013, Saban was inducted into the Alabama Sports Hall of Fame and is considered by many to be the greatest coach in college football history. He currently is tied with Bryant for most major college football national championships for a coach in the modern era. A native of Fairmont, W.Va., Saban played at and graduated from Kent State University. His coaching career spans five decades, with stops at Kent State, Syracuse, West Virginia, Ohio State, Navy, Michigan State, Houston Oilers, Toledo, Cleveland Browns, Michigan State, LSU, Miami Dolphins and Alabama.